With the help of Big Dave and a crew of trusty roadies, BigFest gives music-lovers the ability to discover real-world music talent and build the ultimate music festival. As a music promoter, your job is to develop bands and manage the festival, starting with a small stage in the middle of a field and progressing to a multi-day mega festival. At its heart, BigFest is about the music. Working in partnership with Jamendo, the largest free music platform in the world, you uncover real unsigned bands and help them climb the charts by building the perfect show. How you keep the crowd happy is your decision; whether it’s through great music, the best food, or the biggest stages, you will notice the festival “vibe” increase as you get better at your job. As you build up your reputation and more people come to your shows, you’ll earn more notoriety and be able to expand your shows to become the world’s greatest music promoter. BigFest is free to play for the PlayStation community. ©2013 Sony Computer Entertainment Europe. 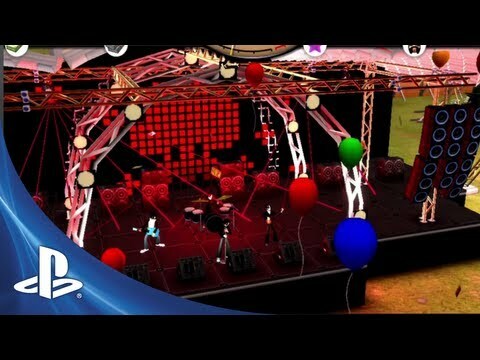 BigFest is a trademark of Sony Computer Entertainment America LLC.